The 12-Step Buddhist: Enhance Recovery from Any Addiction, by Darren Littlejohn, is a guide for addicts of any type on how to incorporate Buddhist philosophy and practices into a traditional 12-Step program. The author is himself a recovering addict (alcohol and narcotics), with two ten-year spans of sobriety to his credit, and experienced a relapse in between. He has practiced both Zen and Tibetan Vajrayana Buddhism, and has a BA in psychology. 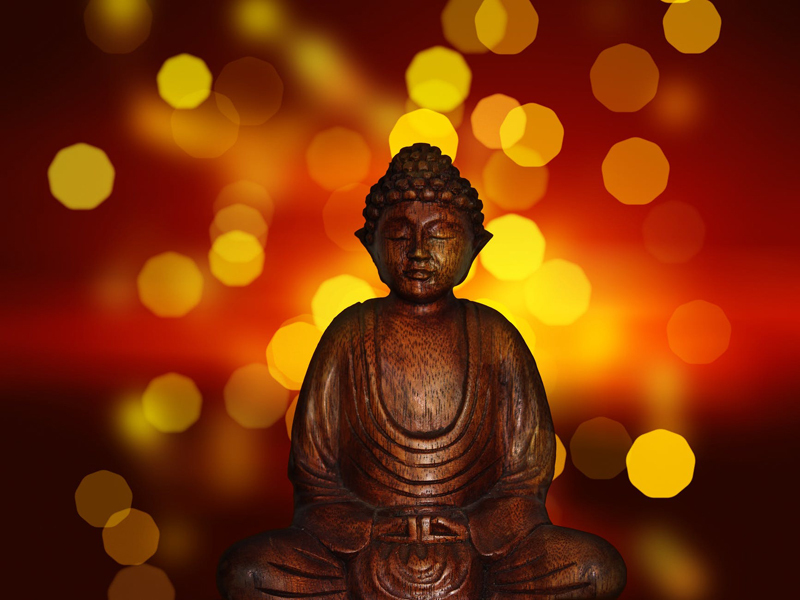 Although he believes in the value of 12-step programs, he found that in recovering from his own addictions he needed more of a certain type of inner work, and Buddhism provided that. This book is based on how he integrated his Buddhist practice with a traditional 12-step program because, "this complementary approach dives below the surface of addiction, offering another path to freedom." For those not familiar with 12-step programs, it is the recovery program originally put forth by Alcoholics Anonymous, and then adapted for narcotics, overeating, co-dependency, gambling, and more. It has often come under fire because of its emphasis on a 'higher power', with some asserting it is a backhanded form of Christian proselytizing. Others simply find that they can not relate to the spiritual language of the program, and numerous secular variations have sprung up over the years. What Mr. Littlejohn has done in this book is reinterpret the steps within a non-theistic Buddhist context, in a way that will appeal not only to Buddhists, but anyone uncomfortable with traditional theistic religions. I was drawn to this book because I believe Buddhist teachings have value for almost anyone, regardless of their religious beliefs (or lack thereof.) Like the Dalai Lama, Thich Nhat Hhan, and many other contemporary Buddhist leaders have emphasized in recent books, Buddhism cuts to the heart of why we suffer, and gives us concrete methods for freeing ourselves from our suffering. Alcohol and drug addiction is a particular type of suffering - or a particular way of dealing with suffering - but we all have 'addictions' of some sort that we need to free ourselves from in order to truly experience a lasting happiness. In that sense, I found this book personally relevant, even though I am not struggling with a traditional addiction. However, this book is designed primarily for addicts, and for anyone who knows or works with them. The author begins with his personal story, which lays the groundwork for him to explain later on why he feels certain practices have particular value. He then provides a basic overview of Buddhism, and of his primary paths, Zen and Tibetan Buddhism. Then, he covers the reality of addiction in the U.S., including research that shows that in 2006, "23.6 million persons aged twelve or older needed treatment for an illicit drug or alcohol use problem" - that's almost 10% of the over-twelve population. He provides an overview of the brain research on addiction, and emphasizes that this is a 'brain disease', and therefore not in the same category as attachments or desires as they are described in Buddhist teachings, although some of the same methods for understanding the latter can be useful. The main part of the book then walks through the traditional 12 Steps - one chapter each - and provides concrete practices drawn from Buddhism that can help an individual to work with that step in a new way. For example, he outlines a Meditation on Acceptance as part of Step 1, admitting 'powerlessness' over the addiction. He explores the Buddhist concept of karma as part of Step 2, which is traditionally stated as "We came to believe that a power greater than ourselves could restore us to sanity." He discusses the Buddhist idea of taking refuge in the context of Step 3 - "Made a decision to turn our will and our lives over to the care of our Higher Power as we understood our Higher Power." Throughout each section, he helps readers to integrate the traditional 12-Step literature’s use of the term 'higher power' with Buddhism's non-theistic approach, and addresses the question head-on in a sub-section entitled "Are You Sure There Isn’t a God in Buddhism?" As the steps progress, and become explicitly more self-examining and spiritual in nature, the Buddhist lessons evolve also, within the Mahayana context of Zen and Tibetan Buddhism, and thus drawing heavily on Bodhisattva-based teachings on compassion and our connection to others. Mr. Littlejohn is clear that The 12-Step Buddhist is meant to be used in conjunction with 'working' a traditional 12-Step program. Nevertheless, I got a lot out of it just as an example of applying Buddhist psychology and teachings to specific contemporary settings and problems. If you know an addict, or are a therapist or other type of practitioner working with them, this book will provide you with new insights into how to approach addiction recovery. And even if you are not, you may gain new insight into how to apply the Buddhist teachings you have studied over the years to your own life.